Offer a convenient way of safeguarding pumps, nozzles etc. Comes in various sizes to fit to all standard pipelines. Easy to install, operate and maintain. 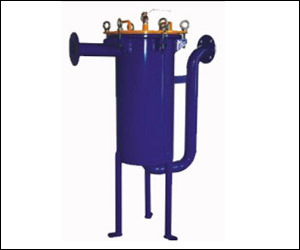 Filter element is made of SS or other reusable material. Top cover comes with quick opening fitments. Comes in various MOC as per requirement. Wise choice for gross separation. Solid particles are held inside the bag. Can be cleaned and reused many times. Multiple bag units with quick opening bolts and devit arrangement. 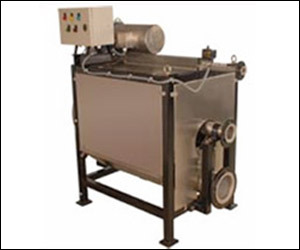 Is specially developed for heat recover unit. 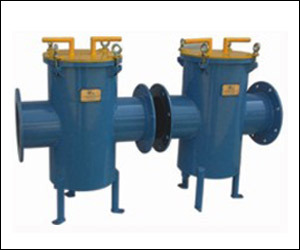 Continuous operations - filtration, muck discharge and media cleaning. Reduces heat transfer equipment downtime low O&M cost.